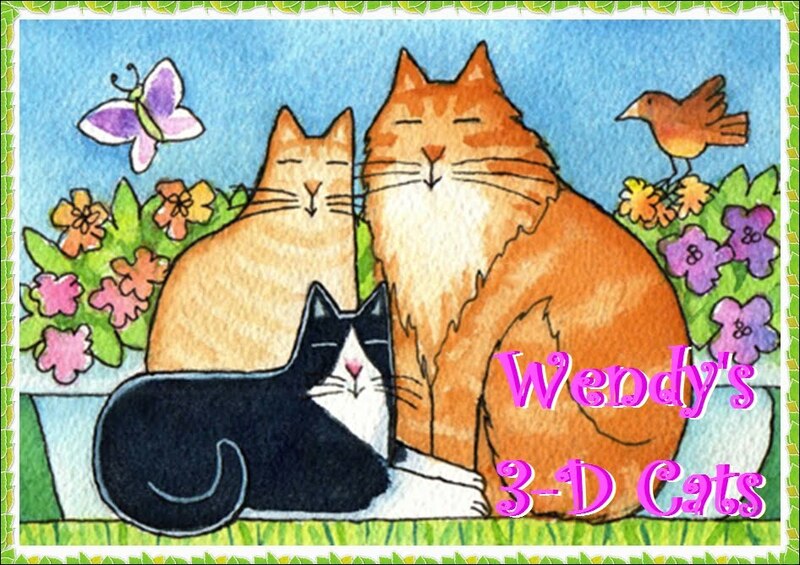 Wendy's 3-D Cats: DOMINO DONS A FEATHERY DELIGHT! Domino has really done it this time! Her hat is truly over-the-top (and I don't just mean the top of her head either). How gorgeous is she in this taupe wide-brimmed hat adorned with pheasant's feathers? She is wearing a black lace collared necklace with brown beads and pendant around her neck which coordinates so well with her hat. She has also added a simple black leather bracelet, with a neutral-toned butterfly, for that extra-added touch. 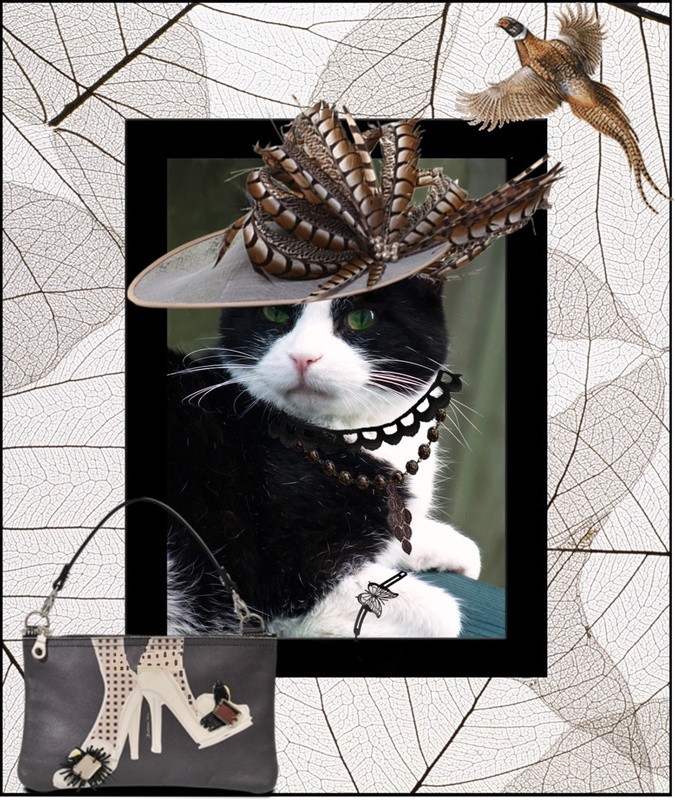 But if you thought her hat was outrageous, just look at the dark taupe leather purse she selected! 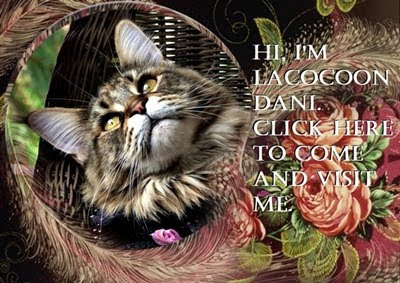 You couldn't ask for better 'footage' for a fashion model, could you? "If yoo wants anuddah feddah in yoor cap, dere's nuffin quite like pheasant season!" exclaims Domino.